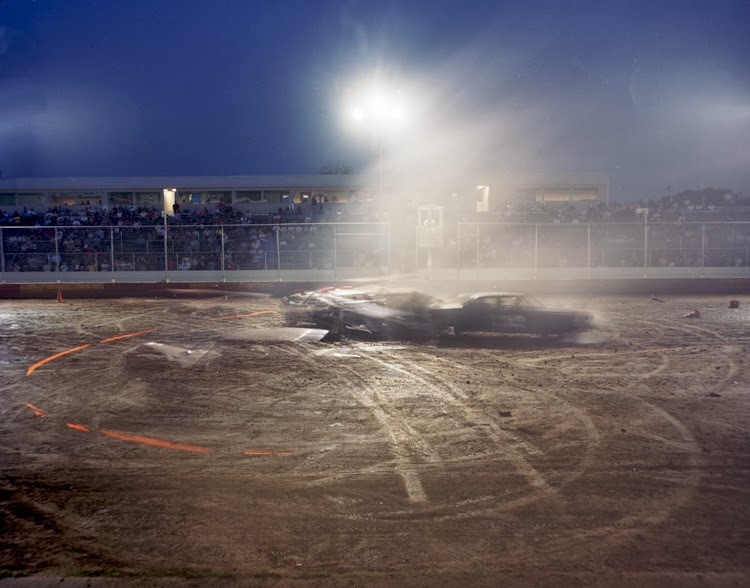 © Michael Itkoff, Heat #6, Bridgeport Speedway, Bridgeport Speedway, Bridgeport, New Jersey, July 2008, from the series "Wrecked"
We subsequently have begun a follow-up series of posts of advice from photographers on how to develop a project, asking them how they approach the middle ground of their projects after giving basic definition and before taking steps to finish. We started with a response from Elinor Carucci and today we continue with one from Michael Itkoff. Itkoff is an artist and Cofounder of Daylight Books as well as an Associate Professor at the School of Visual Arts in Manhattan. He has spent time at the Annie Leibowitz Studio, Aperture Foundation, and Rizzoli International Publications. A monograph, 'Street Portraits', was published by Charta Editions in 2009. Michael received his BA from Sarah Lawrence College and his MFA from ICP/Bard College. Ok so you've begun a project, taken a few great photographs, and drafted a statement. What's next? For any artist working on a body of work the goal is to maintain production, embrace promising new directions and, at some point, try and define a stopping point. Of course,"maintain" is a pretty vague concept and one that deserves unpacking. Few pitfalls ensnare a photographer like a project with defined parameters that begins to repeat itself. Parameters themselves should be questioned, probed and reevaluated periodically during the course of a project. Constraints can be a great boon to creativity but must always be understood as self-defined and RE-definable. Experimentation can often lead to creative break-throughs and change the direction of the project over all. Artists working on long term projects must be willing to take risks and embrace failure as a beneficial part of the process of art making! 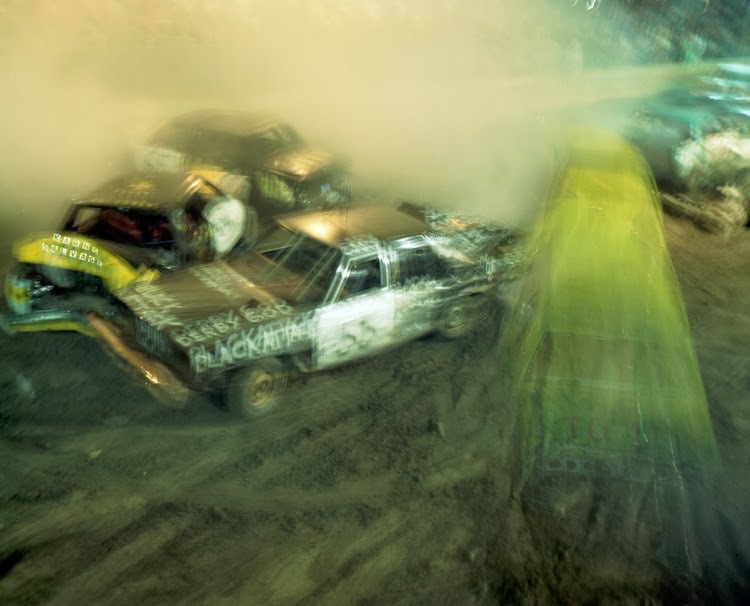 © Michael Itkoff, Heat #14, Lycoming County Fair, Hughesville, Pennsylvania, July 2008, from the series "Wrecked"